Head to the Highlands and make a royal statement with your clan tonight. 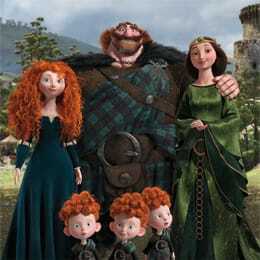 Settle in for a family night based on this summer's Disney/Pixar movie Brave. Gotta keep up the players' strength with these dishes the family will love -- or feed the crowd of supporters. All the crafts and accesories to get you ready for the ultimate "Brave" party. Warm up and cool down with these royal games. Check out the Brave games for your system.